The Peplophoroi are among the most popular and widely published of the statues from the Villa dei Papiri at Herculaneum. All six tend to be considered as a single group, partly because they have always been displayed together, first at Portici, and then in Naples. They have been identified as nymphs, dancers, vestals, kanephoroi (jar carriers), kistophoroi (basket carriers), offering-bearers, priestesses, married women (the five larger statues) and an unmarried girl, women adorning themselves, and actresses (Carol Mattusch, The Villa dei Papiri at Herculaneum). 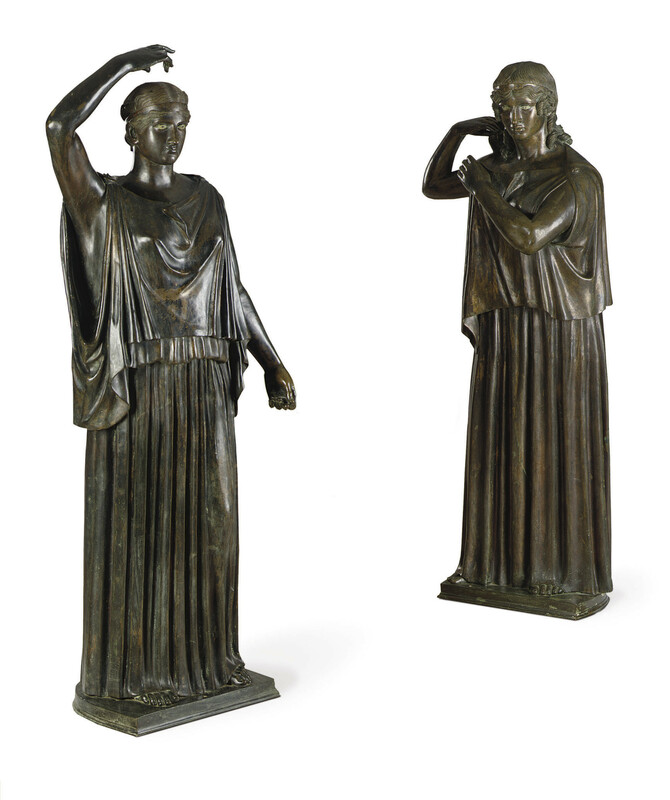 The Fonderia Chiurazzi in their catalogue of 1910, identified the smaller figure as 'La Prière' and the five larger figures as 'Actrice', from the Musée de Naples. The catalogue further states that these figures were found the 26 May 1754 in Herculaneum. A set of the five figures, originally acquired by John, 3rd Marquess of Bute (1847-1900) for Mount Stuart, sold Christie's, London, 3 July 1996, lots 5-7.